On Sunday the audience at Newport Jazz Club welcomed the new year of concerts with a masterclass performance by the Nigel Price Organ Trio. 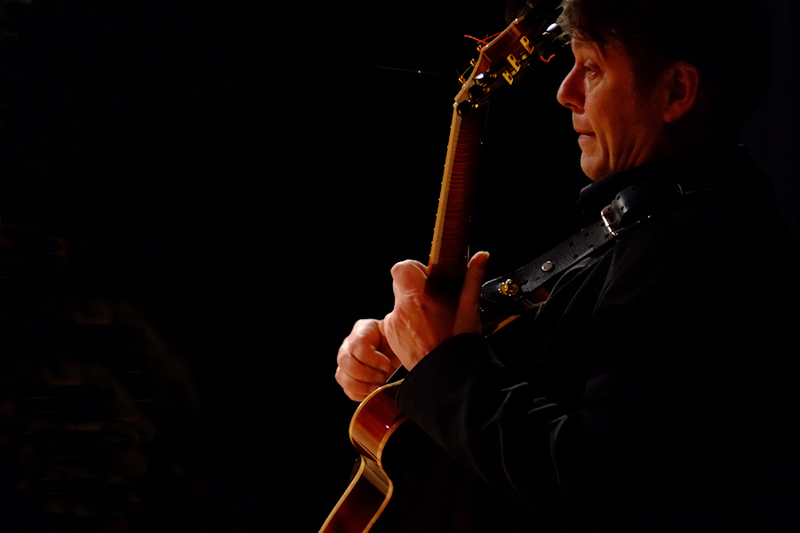 Virtuoso guitarist Nigel is no stranger to island audiences but the Organ Trio has rarely appeared here and the audience were lucky to catch the last date on the Trio's recent successful UK tour. With a twelve number set the audience were treated to some beautiful interplays between Nigel on guitar and Ross Stanley on the Hammond B3 organ, which gives the trio it's name. Completing the line-up was 21 year old drummer Joel Barford who was making his island debut and displaying a musical maturity well beyond his years. With a set that combined Art Pepper's "Red car" from the first jazz album Nigel owned, via Henry Mancini's "Dreamsville" to Blossom Dearies tribute to another Hammond organist "Sweet Georgie Fame" it was only the need to catch the ferry home that brought the over-running concert to an end. An excellent start to the new season of concerts the next of which be on 17th February 2019 when the club welcomes the return of Liz Fletcher and her Trio. Tickets from Bill Wills on 523879 or Gerry Cullis on 730601.